One morning not long ago I was watching Good Morning America (GMA). No, that’s not the confession. That’s a respectable pastime and often a lighthearted distraction for me. I also have a secret crush on GMA’s host George Stephanopoulos. But that’s innocent enough and no big revelation there. But on that particular morning, GMA featured the video of the K-Pop (Korean Pop music) single by South Korean musician Psy doing his outrageous new dance “Gangnam Style.” I now know that the song and Psy’s dance were taking the nation by storm and even becoming the most watched video ever on YouTube. This isn’t just another Macarena. Remember it? (I try not to). 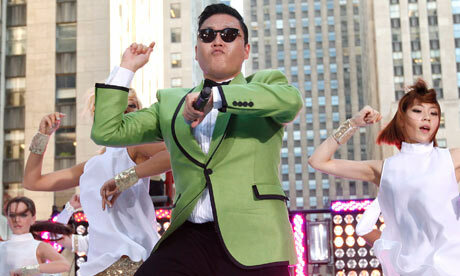 So anyway, that day the Good Morning America hosts began dancing Gangnam style. The crowd on the street was dancing Gangnam style. Even the people in the GMA control room were dancing Gangnam style. That was it. I put my laptop down. I confess that I jumped up and started dancing. You guessed it: Gangnam style. I’m very proud to say I mastered my favorite part where Psy pretends to be riding a horse like a cowboy and spins an imaginary lasso in the air. Yeee-Haw! While writing our book Fast Trains I began turning into what one might call an Asian wannabe. Emy and I did tons of research on Asian history and its present-day lifestyle in order to write the chapters featuring the Asian countries that are fortunate enough to have high-speed rail. And you can bet the day that I take my first ride on a high-speed rail train here in America you will see me dancing Gangnam style down the aisle while traveling at 200 miles per hour! Move over, George Stephanopoulos. I now have my crush on Psy! This entry was posted in Travel and Human Interest Stories. Bookmark the permalink.